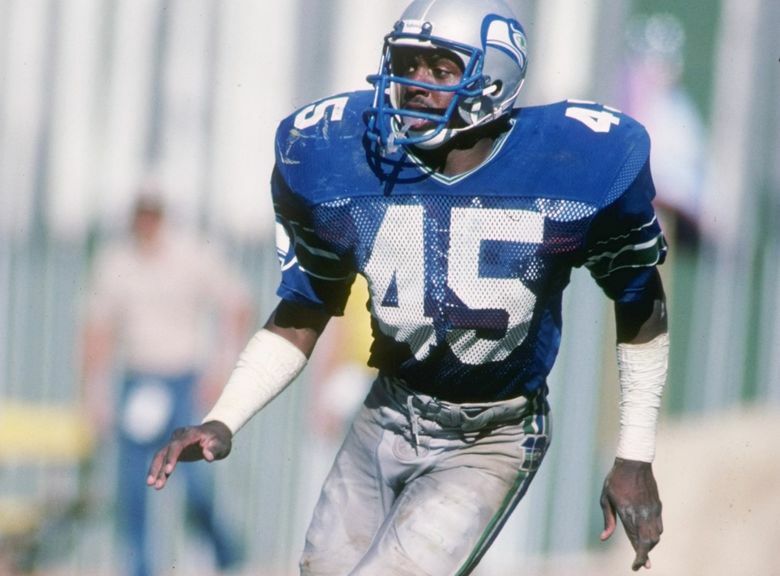 Former Seahawks All-Pro safety Kenny Easley is hoping for good news from the Pro Football Hall of Fame on Saturday. 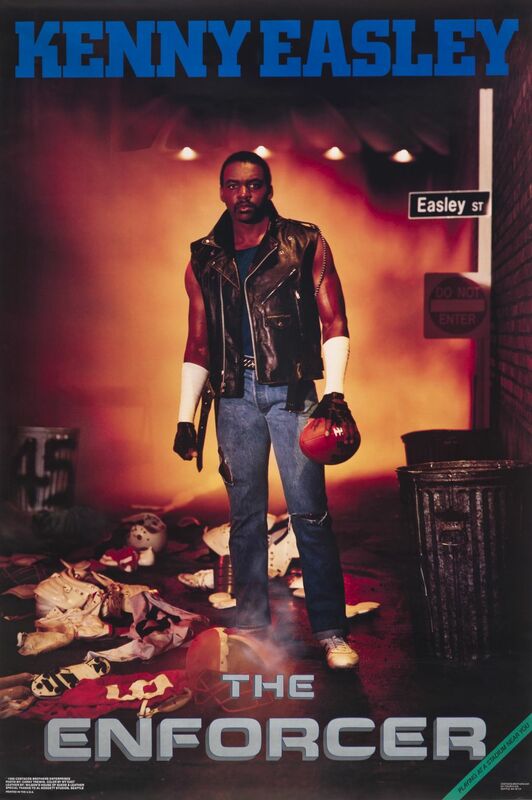 Kenny Easley’s Costacos Brothers poster. Kenny Easley’s football legacy can be secured forever Saturday if he is elected to the Pro Football Hall of Fame. A Seahawk from 1981-87 and a member of the team’s Ring of Honor, Easley is one of 18 candidates for this year’s Hall of Fame class, with the potential to become the fourth player who spent his entire career in Seattle to be elected (the others are receiver Steve Largent, defensive tackle Cortez Kennedy and offensive tackle Walter Jones). Easley, though, says simply being nominated by the Veterans Committee last August has already changed his life. When the call came, the 58-year-old Easley was three weeks removed from triple bypass heart surgery to fix an ailment whose shocking diagnosis had arrived overnight. In a conference call with Seattle-area media Thursday, Easley recalls he was watching TV one night last summer when he suddenly felt short of breath. His daughter and wife convinced him to check in to a hospital where he says he was measured to have a pulse rate of 30. After a battery of tests conducted overnight and into the next morning, Easley was told he had to have surgery immediately. Easley, in fact, credits all the success he had in sports — an All-American career at UCLA, becoming the fourth overall pick of the 1981 draft by the Seahawks, then earning three straight All-NFL honors capped by being named the 1984 NFL Defensive Player of the Year and later as a member of the NFL’s 1980s All-Decade Team — to that very same heart. The surgery was a success, but Easley says he was still in something of a state of shock when the call from the Hall came that he had been nominated. His wife, he says, had been badgering him about getting out of bed and starting to walk around and get back on with life. Easley will be in Houston Saturday ready to celebrate if another happy call comes to tell him he has been elected. The conventional wisdom is that Easley is likely to make it in. Easley is the only Veterans Committee nominee this year, and at least one Veterans Committee nominee has been elected every year since 1997 (two can be nominated). Easley needs 80 percent of the votes from the 48 selectors, who will meet Saturday to assemble the class. But unlike the 15 Modern-Era nominees, the vote on Easley is done independently and requires simply a yes or no vote (at least four and no more than eight of the 18 candidates will be elected). Easley says all he has gone through of late has him in full one-step-at-a-time mode and he isn’t thinking yet of what it might feel like to hear he has been voted in. He said he’s been told to be in his hotel room from 1-3 p.m. on Saturday to receive the call. “I’m trying to work it out in my mind if (he doesn’t get called) how I am going to deal with that,’’ Easley said. Being nominated continued what has been a re-integration into the football world following the stormy and unexpected end to his playing career. Easley was the Seahawks’ representative to the players’ union in 1987 when a strike was called two games into the season. A few Seahawks, including Largent, crossed the line to take part in replacement games, and the team became bitterly divided in the process, contributing to a season that began with Super Bowl hopes ending in a wildcard spot and loss in the opening round. Easley was traded the following spring to Arizona for quarterback Kelly Stouffer, some believing his involvement with the players union playing a role. During a physical that followed, it was discovered Easley had irreversible kidney damage and his playing career ended as suddenly as he would find out decades later he would need heart surgery. Easley sued the Seahawks as well as three team doctors, alleging an overdose of painkillers led to his condition. The suit was eventually settled out of court. But for roughly 15 years, Easley had no contact with the team. Thursday, he used the word “estranged’’ to describe how he felt toward the Seahawks and the sport of football itself — he said he didn’t watch a game of any kind for roughly 15 years. The bitterness began to ease when the Seahawks inducted Easley into the Ring of Honor in 2002. Easley said the fact that the team by that point had new ownership in Paul Allen helped smooth over hard feelings. Possibly due to a career that lasted just seven years and that safety is a sometimes overlooked position — just seven players who played only safety in their career are in the Hall and none since 1998 — Easley was never considered for induction by the Pro Football Hall of Fame before the Veterans Committee took up his case. He said around the time he was honored by the Seahawks in 2002 he began to think about being inducted someday, especially after a friend informed him he was the only member of the defense of the official NFL 1980s All-Decade team not already enshrined (and one of just two overall, the other being offensive lineman Jimbo Covert). Still, there was no move to get him on the ballot until last year, when the Veterans Committee instead went with Ken Stabler, who was ultimately elected. Easley said that because for a long time he didn’t think about the Hall of Fame he won’t be nervous.